PST/GST and the specific duty on new tires. 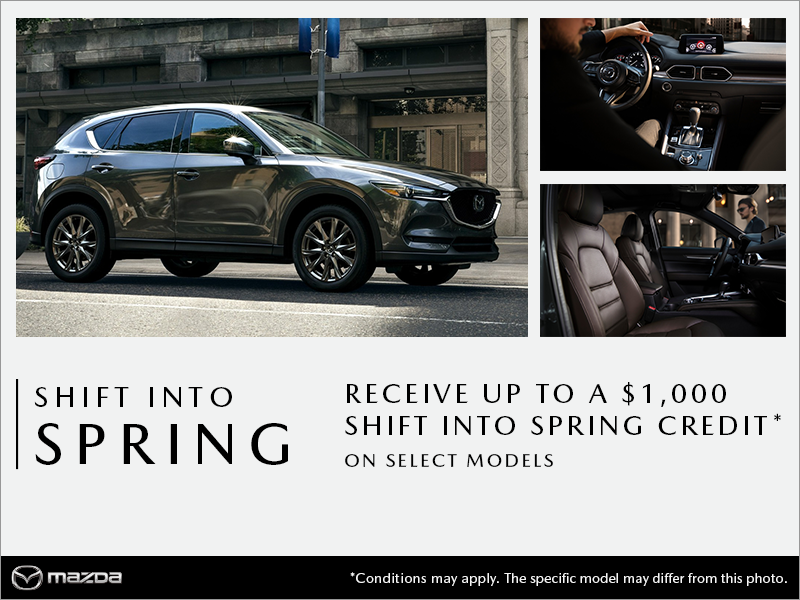 Spring Credit offer not available on 2019 Mazda3 models. See dealer for complete details. km/year kilometre allowance; charge of $0.08/$0.08/$0.12/$0.12/km for excess kilometres. Payments cannot be made on a weekly basis and are shown for informational purposes only.